Northern Virginia Therapeutic Riding Program Fund Raiser - Blackburn Architects, P.C. : Blackburn Architects, P.C. There is some exciting news coming to Northern Virginia and the therapeutic riding community. 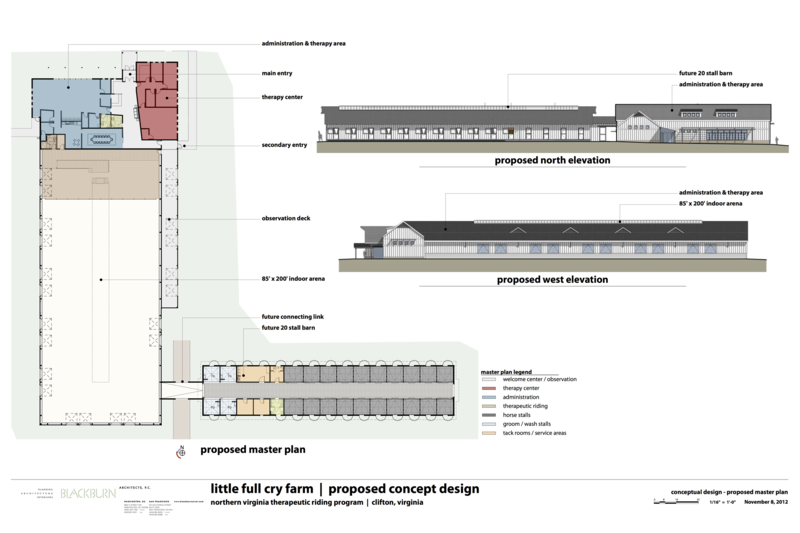 The Northern Virginia Therapeutic Riding Program (www.nvtrp.org) faces a new chapter in their history from their plans to build a new indoor riding arena at their new property, Little Full Cry Farm, located Clifton, VA. They completed Phase I in 2008 with the purchase of the 5.5 acre property and construction of the arena will complete Phase II. I recently had the pleasure of attending an event sponsored by John Marshall Bank at Paradise Springs Winery in Clifton, VA (www.paradisespringswinery.com). 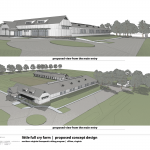 The event, held in the beautiful new wine tasting room, was an opportunity for Blackburn Architects to unveil the design for the new arena (Phase II) and a future 24-stall barn (Phase III). 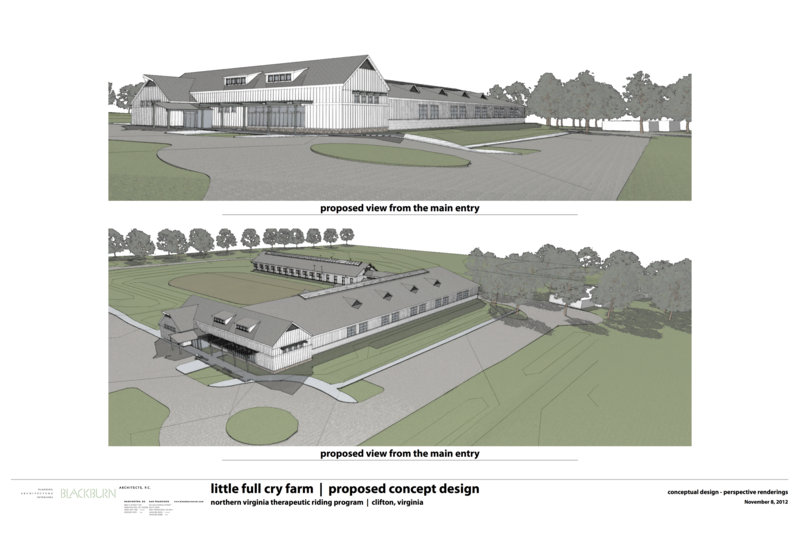 The new facility, Northern Virginia’s first comprehensive therapeutic horsemanship center, will be financed by John Marshall Bank (www.johnmarshallbank.com) who has been instrumental in assisting the NVTRP in acquiring the property and in helping to promote the good work that they provide. create a Northern American Riding for the Handicapped Association (NARHA) regional training center focusing on certifying a new corps of instructors. 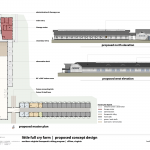 Below is a perspective of the concept design and a proposed floor plan designed by Blackburn Architects. For more information about how you can help the NVTRP “Raise the Barn!”, please contact Breeana Bornhorst at (703) 764-0269 or by email at info@nvtrp.org.